Two-for-one deals are usually something to get excited about, except when talking about Asian citrus psyllid (ACP) and Huanglongbing (HLB) disease, also known as citrus greening. ACPs are the carrier of citrus greening so when you see ACP, you will likely find HLB. When scouting for ACP, look for winged adult insects that feed from a vertical position with black-tipped wings rising into the air, as well as flat, yellow-bodied nymphs that leave behind white honeydew and distorted leaves as they feed. If you suspect that trees have been fed upon by ACP, quickly quarantine the trees to prevent the spread of possible HLB infection. To preserve fruit quality, do not mix fruit harvested from the presumably infected tree with that of uninfected trees. Avoid runoff from irrigation that passes from the suspected infected to uninfected trees. Minecto® Pro insecticide has efficacy on ACP. The premix formulation of cyantraniliprole and abamectin offers robust control of key citrus pests, including Asian citrus psyllids, mites and leafminers. While Minecto Pro is extremely effective against ACP, its mode of action does not interfere with ACP feeding. If an infected adult has the opportunity to feed on an uninfected plant, HLB can still be transmitted. Therefore, the best course of action is to get ahead of the insect, scout early and often and apply insecticides like Minecto Pro to prevent a population from settling in during the spring. A tree affected by citrus greening does not show symptoms during the first year of infection, but the tree is still a source of bacteria that can spread to other trees via the ACP. A study by the University of Florida shows orange yields decreased by about 42% from 2004 to 2015. Orange tree acres also dropped by about 26%. 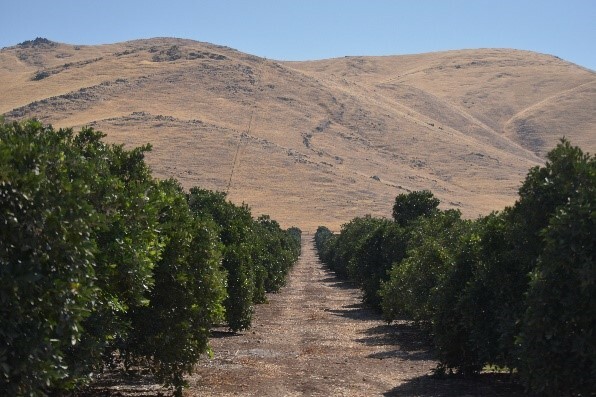 Such devastative effects make it vital to be proactive in controlling and minimizing the impact of ACP on CA citrus orchards to prevent HLB from taking hold. With no cure and no resistant citrus varieties or rootstocks available for HLB, certain strategies can still slow disease spread. These include planting disease-free nursery stock, removing infected trees, managing ACP and promoting root health.